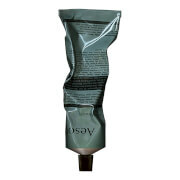 Moisturise your hands and cuticles with this premier Reverence Aromatique Hand Balm by Aesop. 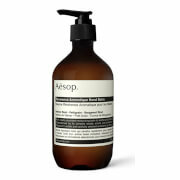 The formulated hand balm is part of Aesop's innovative Resurrection range, ideal for hand care that really works. 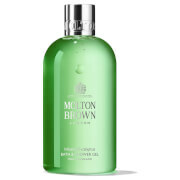 Leave your hands looking smoother and feeling fully restored. The hand balm's formulation is greaseless and uses naturally occurring hydrating botanical ingredients. The Reverence Aromatique Hand Balm is ideal for rough skin or for hands that have suffered from overexposure to inclement weather or other atmospheric aggressors. It can also be used on the feet or elsewhere on the body. Moisturise, hydrate and smooth your skin with this effective and greaseless hand balm. Directions for use: Apply to clean hands as often as needed, paying close attention to cuticles. Absolutely fantastic. My daughter introduced me to this & I use it every day when out and about. Stays in my handbag permanently! 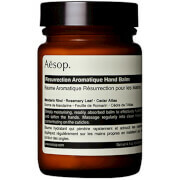 Love, love, love Aesop! This hand cream is one of the fabulous items made by Aesop. The scent is a delight to the senses and the cream is a saviour for dry hands. 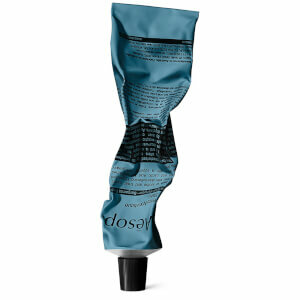 This hand cream is non greasy and really blends beautifully into your skin and keeps them glowing. Quite moisturising and special smell like Asian herbal.